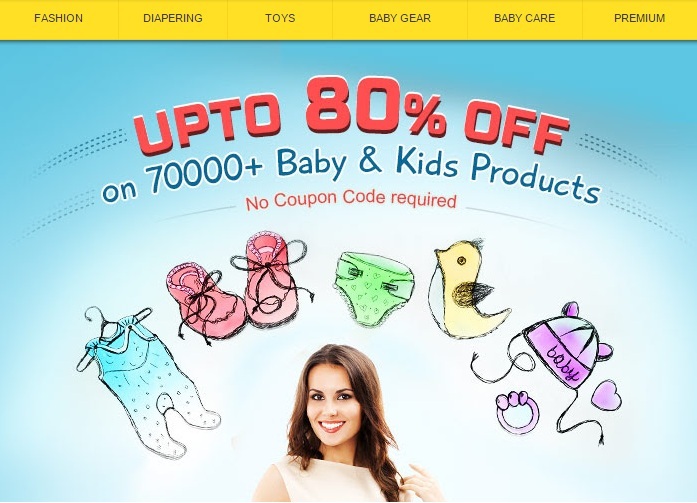 FirstCry.com is India's big store for little ones. FirstCry is Asia's largest online portal for baby and kids products. Tehy have oven 90k plus products from 1200+ top international and Indian brands like Pigeon, Mattel, Funskool, Hotwheels, Nuby, Ben10, Pampers, Medela, Farlin, Disney, Barbie, Fisher Price, Gerber, Mee Mee and so on. Their mission is to provide best of the products and brands at lower prices with free shipping, prompt customer service and great online shopping experience. 2. Sign up if you are a new user or login if you are an existing user. 3. No coupon code is required. 4. Almost all products are on discount. 6. FirstCry specific Terms and Conditions are applicable.